Embark on an engaging adventure with our gator hunting services in Orlando, FL. We provide an exciting and memorable experience that’s fun for the whole family. Not only do we offer the opportunity to take home a trophy as proof of your journey, but you’ll also get an up-close and personal look at the marshland’s wildlife. As we glide across the water on an airboat, you’ll feel as though you’ve ventured into another realm. Together, we’ll float through the wilderness and see the marvels that nature has to offer while making memories of a fun and thrilling alligator hunt. 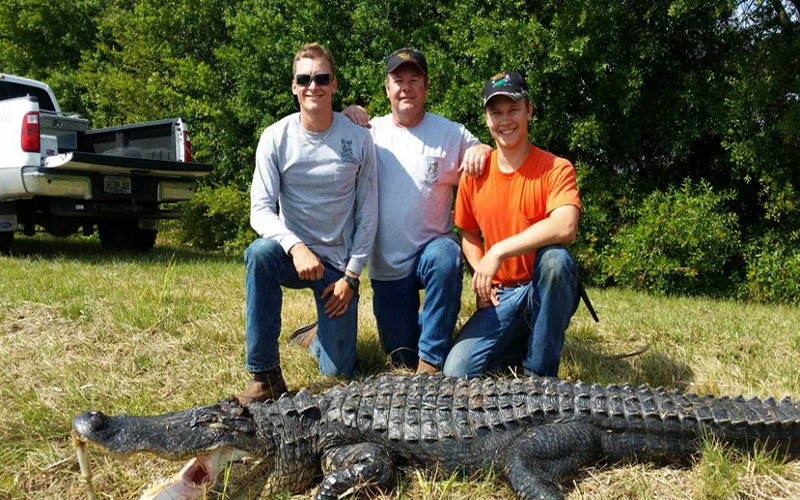 Here at HHGatorHunts, our safety-driven guides are committed to delivering a completely satisfying journey. Alligators are dangerous animals. There’s no doubt about that. It’s important to understand the risk involved with hunting creatures like this. However, our guides take every precaution necessary to ensure the safety of every guest. All of our staff members are equipped with a cell phone and a well-stocked first-aid kit. We carry a surplus of equipment on every airboat, and we always have a “what if” plan in place. 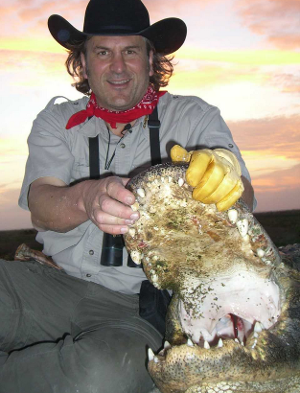 Every guide on our team possesses more than 10 years of experience in dealing with alligators, so you can rest assured we know how to deal with these animals. In the event of an emergency, we’ll ensure your safety. When you’re looking for a new and exciting adventure, nothing quite compares to a Florida hunting experience. Our guides are dedicated to providing you with a unique experience that you’ll remember for years to come. We invite you to join us on our next excursion and claim a trophy gator as a souvenir to remind you of the journey. Our team has the tools and skills to ensure your hunt is unlike any other. With so many options available for alligator hunting, it just makes sense to rely on our service where we average more than 40 clients a year. We’ve hosted hunters from all over the world, who praise us for our memorable adventure and our friendly staff. Join us on our next outing into the marshlands and see what you’ve been missing. From August 15th through October 31st, the State of Florida will issue several thousand tags through a lottery system for our guided alligator hunting adventure. 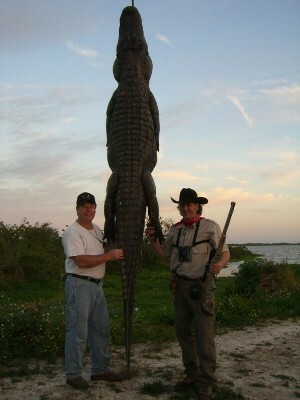 We provide sport hunting for alligators which is available year around. These are one-day hunts but can require a second day due to Mother Nature. Alligators can be taken with rifles, bows or harpoons (night). Trophy hunts are done all year. These trophy gator hunts are three days or two nights. Alligators can be taken with rifles, bows or harpoons (night). Contact us to find out more about our alligator hunting packages. We are located 45 minutes southeast of Orlando, Florida, and serve guests from all over the world. Book your next gator hunt today.